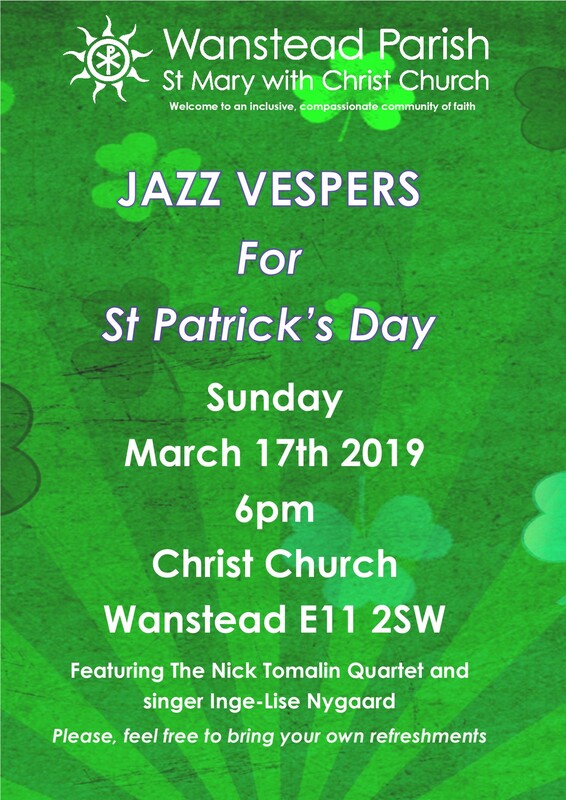 Wanstead Parish warmly invites you to attend our next Jazz Vespers service on St Patrick’s day. What started as a new, one off and experimental idea has now turned into an exciting regular venture, due to its popularity and wide appeal and on Sunday 17th March we will be holding our 4th service. The word Vespers comes from the Greek Hespera and the Latin vesper, meaning ‘evening’. It was an act of worship designed to be said at sunset and is one of the most ancient liturgies of the church, dating back to the 2nd century. 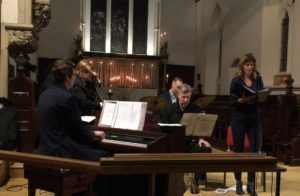 The structure of this reflective, candlelit service consists of psalms, Bible reading/s, responses, a hymn, the Magnificat, intercessory prayers and a final blessing all of which will be interspersed with jazz music from professional and local jazz musicians. On Sunday 17th March we welcome once again the Nick Tomalin Quartet and acclaimed singer Inge-Lise Nygaard. We encourage our congregation to bring their own refreshments (alcohol permitted also) to enjoy throughout and after the service.